In this compelling interview, Vince Miller interviews former F-18 Pilot and founding partner of T-6 Victory, Chris Koelzer, about the meaning of sacrifice. While sacrifice may have little meaning to each of us, there is no one better than a military serviceman to teach the world about the meaning of this word. 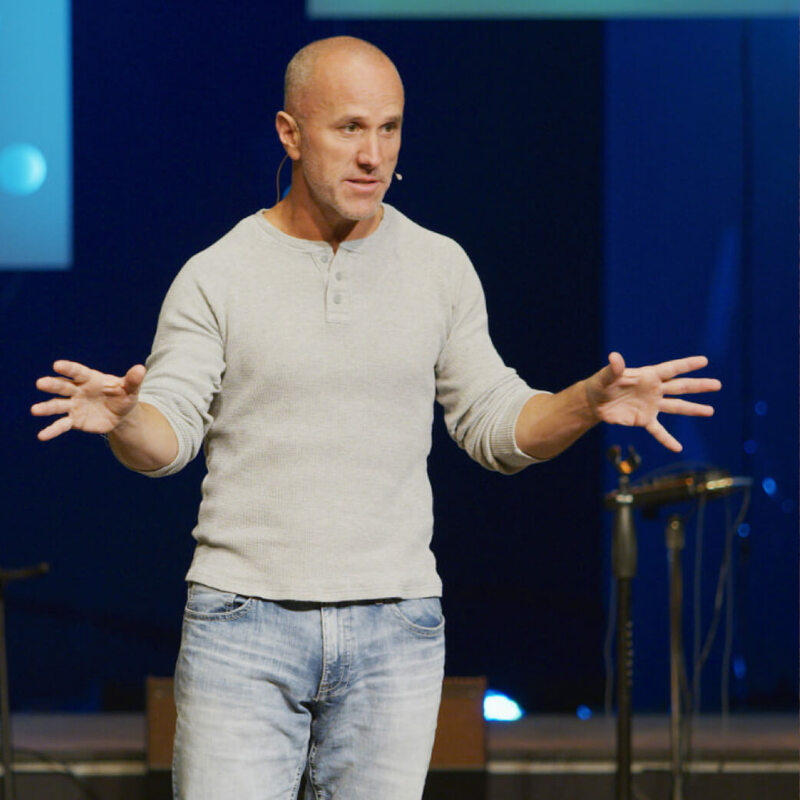 You have to listen in today about to become the giver and live sacrificially for others. Well welcome back to ManTalk. My name is Vince Miller, your founder, and host. Good to be with you again today. We're still in the series on 30 virtues that build a man. Today's topic is sacrifice. I am joined again by Chris Koelzer. Glad to have you with us again, man. Great to be here again. Vince. Thanks. So, uh, Chris Koelzer partnered with a couple of guys, ex-military guys to found a company called T-6 Victory that uses. I would describe it in my own words if you don't mind. It just uses a flight experience to teach people about leadership principles that they can apply to any business situation. Is that close? Exactly. With the flight experiences, the culmination of a ground training, three grand trading sessions. So the flight experience itself is optional in case lawyers or hr have problems with sending people in airplanes. We can still do a training and get most of the lessons across without the airplanes, but it's all centered around the formation experience because you see a trust and so many other things in action. Yeah. This, this guy is amazing. You gotta, you gotta check out d victory. So former FFA team pilot taken you up is a memorable experience, I would say nonetheless, but I really want to center our conversation today, Chris, around, uh, sacrifice. Um, I know being in the military, I know you still do some training for military guys, some flight training and stuff like that, but I would love for you to just kind of help us to understand this concept of sacrifice. I believe it surrounds in the armed services. This topic has got to be one of the predominant or central focuses of every man's thought life. He is entering into military service or she, uh, entering into military service, willing to offer their life as a sacrifice. What, what does, what do guys like you think about? Because I'm a civilian, never served in the military. Helped me to understand what sacrifice that word means to you as someone who's served our country. Sure. Um, when I think of that, I think of first and foremost other marines that I knew within service, but not necessarily in my own operational experience. I flew off of aircraft carriers. It was all pretty much peacetime. We flew over Iraq, that kind of thing. I was not in a foxhole or going door to door through Fallujah or calling in airstrikes or like a lot of people that I know and so the level of sacrifice that I'm familiar with personally pales in comparison to the stories that I've heard. Excuse me, secondhand or the things you see in books on the Internet, you know, going back any military service back to back to, well back to biblical times. And before. All right, this was, there's no before in the beginning, ms.dot. But throughout I've heard of, of guys I know and friends that have done amazing things like taking, uh, sending, uh, a 19 year old, back to the back to the Ford Operating Base and taking their listening posts because it was particularly risky and then getting mortared in and the young captain with two kids and a wife got killed instead of the 19 year old. That kind of sacrifice. It occurs routinely and luckily through the media in the last years of the, of the global war on terror, there's been an increased awareness, but it's still only scratches the surface of the sacrifices that go on daily out there. Even today, even today, and even though you probably didn't experience as much action necessarily as probably some have experienced, I would assume you were probably thinking about your sacrifice and the sacrifice you're making for your country all the time. Right? You flew a lot of hours. How many hours did you have an, an fat, 2000, 800, something like that. That's a lot of hours, right? A lot of hours in the airplane and a lot of ability to see a lot of time spent in crazy places in the world on the ocean and the, and the carrier in the desert. And uh, so what you see in those environments in terms of sacrifice, even when there aren't bullets flying, just put this, the sacrifice of the 18 and 19 year old kids, and I'll call them kids that are living in rooms that are 120 people. And they got the, they lay down their bunk and they got three inches between their nose and the mattress above them and it's 120 degrees in there and they work for 16 hours a day, 18 hours a day, and then they go. So what those, what those folks go through and they're working on the flight deck where it's 135 degree heat index and they're wearing all kinds of equipment. So the life of a pilot is, is like you're staying in a Hilton compared to the guys that are login, that 50 pounds of chains and stuff were on the deck, but you see sacrifice and everybody's making a sacrifice there. And the greatest sacrifice for those that are deployed in my mind is those on the home front. You think about wives and kids. I got a best friend from from growing up in Montana who was in the army. right? How can they do that? You know, why? What motivates them? What motivates the guy that jumped on a hand grenade and then save it in the blink of an eye and make that decision and jump on a hand grenade, which happens and has happened routinely and still is happening. Or to have a 5,000 person team on an aircraft carrier work really as one and routinely do crazy dangerous things. Or the wife that's back at home to sustain the home front for 15 months straight. Well, and it could be a, it could be a husband back at home too. I don't want. I want, I want to be gender neutral gray. Right, right. But, uh, it goes both ways. It's just amazing. Yeah, exactly. But, you know, I think, I think sacrifice is really interesting because I think we're willing to make sacrifices when we absolved ourselves to live for a greater mission or vision, right? We're willing to do those things. In fact, we're, it's more easy to make a sacrifice when we can. That's why I love the text from today. So the texts from the day from, from our book 30 virtues that build a man is from luke 14 and in this text is really phenomenal. Jesus is walking along with a group of people and, and he's challenging them to make sacrifices and he calls them into this really incredible, uncomfortable, a moment of sacrifice. He looked back at this crowd of people because he's making his way toward Jerusalem at this point. He's making a beeline there. His mission is clear. He's going to die. He knows it. He's going to die. Other people don't know that, right? He turns to him and says, if you really want to follow me, they're going to have to take up your cross. You're going to have to actually deny yourself and then you're going to have to come follow me. Which meant to them just an image of dying to themselves, taking up their cross, laying their life down, and then following him was just such a vivid image of something very counter cultural that someone would actually want to do. No one would want to die on a cross. Right. But I think what he's actually doing is he's actually calling them to make a sacrifice. It's not just walk into something comfortable, walk into something uncomfortable because a mission is so great and the in the call is to follow him, the calls to follow, but they have to be willing to do things to get there, to follow. Right. And I think it becomes clear that if we're really going to make successful sacrifices in life than, hey, we're going to have to live for a greater mission and Jesus here does a beautiful job of helping them to evaluate that, to understand that, to know what it means when it comes to kind of some of these sacrifices that you're teaching leaders to make using t six victory. Uh, have you seen people in their mind understand that there really is a greater mission that we're trying to lift for, thus were making sacrifices at lead as leaders? Have you seen guys make that transition? Sure. Yeah. We'll, we're talking. We talk about vision a lot or, or the fundamentals a lot and there are so many different ways that companies talk about or mission or what, what the purpose is, purpose statements. Um, but you can wrap strategy today. You can wrap core values or core principles. You can wrap up a model. All of these things feed that greater good, some color or the point. What's the point? What's your why? 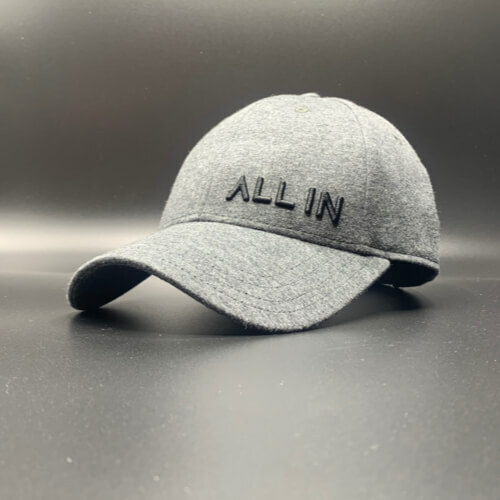 Like Simon Sinek says a, and it's so critical because if somebody is not aligned to that, why you know it, if, if, whether it's a family or a sports team or a business or a startup. If somebody not on board the program and they don't have that alignment, they don't share the vision of the team and they're not committed to that vision, then things are not going to go as well. You're not going to develop that trust. It's going to enable the submission to the team and the sacrifice, the sacrifices that are required even in a business setting. So I, I think I saw that when you and I went up together, uh, for, for a flight as I started to see that there was a mission that we're flying. There's a purpose to this flight. We were flying a bombing mission, which was way cool by the way. and it take those steps on a daily basis because we have to pick up that cross for Christ daily and for your team, marriage, whatever. Daily. Yeah. How do you think, how do you make that a habitual daily action? Yeah. You know, I think, I think guys that are probably out there listening to a podcast like this on sacrifice probably struggled to understand how can I do this on a daily basis? I clearly, Jesus is giving us a pretty strong color here. Yeah, very, very clear. But it's a very overarching, clear call to sacrifice. But how do we do the little sacrifices? And I think one of our problems as men is we become so busy and intoxicated with our that we never take time to think about what it would look like to live outside of ourselves. You know, we got a wife at home sometimes. Some of us do. Listening to this program have a wife at home, we need to make some sacrifices for. Maybe today would be a good day to go out and get some flowers for her and love on her a little bit though. It's good day for that, that it's always a good day for that. It may pay out certain benefits by the way that you might like tonight, right? I think sometimes we got kids at home because were so intoxicated with our work life and we're so busy with the May want to be loved and maybe want a little attention. Maybe we need to pull them away from the xbox and fortnight or whatever. They're playing too much a pull them away from it and go play catch with them in the front yard. That's a sacrifice, but it means us being willing to live for a greater mission with our wife and with our kids, so for those of us who are not married, maybe it means making a sacrifice for the neighbor across the street that we've been ignoring because we've been too busy. Maybe it's saying hi to someone walking through our neighborhood. Maybe it's taking a moment to recognize that someone else is experiencing pain in their life. Right? Maybe someone is suffering through a difficulty in their life and we need give them attention, take them out for coffee, make a sacrifice of time or energy or money, but I think for us guys today is that we're far too busy with too many things to actually make a sacrifice and when we lift our head up to look at our own life, maybe were we realized that we're over intoxicated with self and that's why we're not making sacrifices. So that's where I'd begin. I think that's what Jesus does with these people. These, these people that are following him right now are probably just all in it for themselves. They want to be healed. They want food, they want teaching, and Jesus says, look, you misunderstand what I'm about to do. I'm about to go make a huge sacrifice and I'm asking you to follow suit. I'm not asking you to do anything that I'm not doing. In fact, I want you to live the exact same way. Then I'm about to live and live for a greater mission other than yourself. Right? And I think that's what's difficult about Jesus has called the sacrifices it calls us to live for someone other than ourself. Does that make sense? Absolutely. If we trust him and his sacrifice, that should motivate us to make sacrifices for him. Yeah, exactly. So anyway, I think this is the challenge today guys, you know, I think go out there and make some sacrifice today, like do something for somebody else other than yourself and then attach it to the mission of God. That is the greatest mission that we can live, is the underneath the authority and the sacrifice of what Jesus Christ did for us. So guys, thanks so much for being with us today. We're excited to have you. 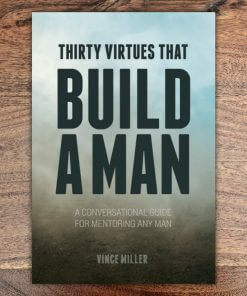 I want to encourage you again to pick up a copy of 30 virtues that build a man. It's a great tool. We used it exactly like we use it in the book here, 30 virtues, two page chapters to give you a conversation between two men just like Chris and I were having here today. So I'll pick up a copy for yourself or give it to somebody else for that matter and encourage them to go out and find someone to mentor them. And with that guys, I'll see you right back here next time on another edition of ManTalk.